Come on! Yes, pink! You know heads will turn for this masterpiece of design and originality. Call Falconhead today. At Falconhead we love color. Based on vintage combinations of colors this weatern standout can be yours. Classic combination of light olive, oxblood and peanut. 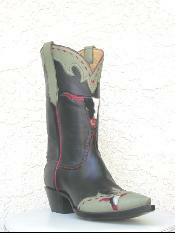 Notice the overlay on the boot pulls. One of Falconheads best sellers. 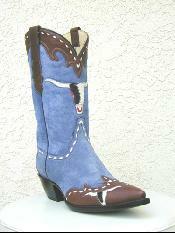 Deep royal blue is the dominant color of these boots. 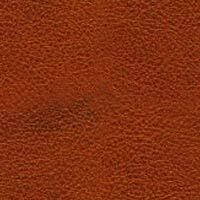 Notice the accent colors, burnt orange and a repeat of the burgandy color from the toe. Piping is done in a interesting green color. 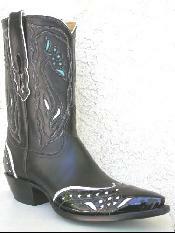 Black patent leather on the toe heel and the boot pulls. 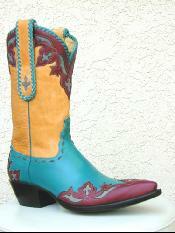 Turquoise inlays as well as white make this boot elegant. Falconheads twist on camouflage. Be seen only by the ones you want, in this outrageous answer to hide and go seek. Annie Oakley would die(oops! ), for these. Routin' tootin' bronco bustin' classics. Call us at Falconhead today! We're ready, are you. The ultimate boot for jeans. Scott Wayne has done it again! The number one seller at falconhead. 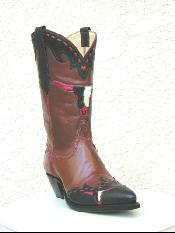 Dark brown, white buck stitching and white horns make these a standout. Rich colors dominate these littlelonghorns. 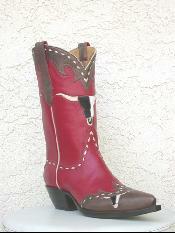 Red buck stitching accents and trims this pair. The longhorns, all five of them have red horns, completely handmade. The luster of bronze adds subtle richness, while the brown wingtips and foxing grounds this longhorn firmly to the terra firma. Just try and lasso this bull! We'll help ya, call Falconhead. 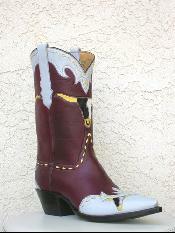 Yellow horns and buck stitching give this boot added punch. 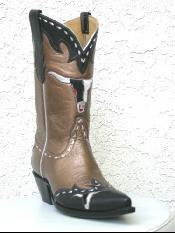 Texas longhorns adorn five different locations on the boot, so you never forget 'em. Longhorns Falconhead style. 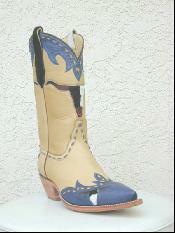 Classic combination of natural colored calf and blue denim. Call us today at Falconhead. Keep the bulls coming with red. 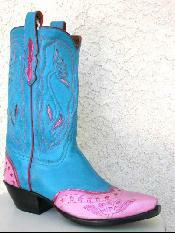 Or keep them seeing red when you walk by in these. 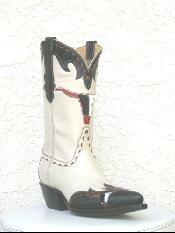 White buck stitching accents these littlelonghorns. What more can we say, old glory lives on your feet. The accents of silver give it more though. 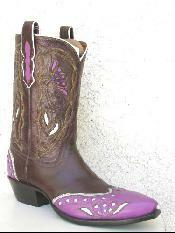 Notice the fleur-de-lis repeated throughout the boot. 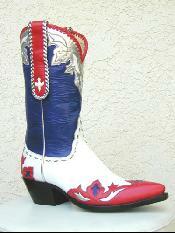 The ultimate patriot boot. 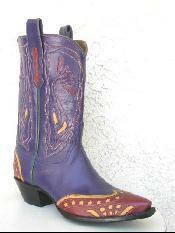 This one is more along the lines of a vintage boot. Scott Wayne loves that look so you will see it a lot at Falconhead.